As I’ve been sharing my newly discovered passion for doodling and hand lettering on social media, I’ve gotten a lot of questions from other people who want to learn more as well. I spent some time digging into my new books and supplies this weekend and thought I’d share a few more of my thoughts about each for anyone who is interested in these art forms. One of the best parts of this journey for me has been that whenever I pick up my supplies, the girls flock to my side to join me. They spend half their day creating anyway, so it’s not like they need me to model creativity for them, but there is something really sweet about sharing something so simple and developing our skills together. I also feel creative for the first time in my life. It’s so much fun to watch a doodle come together and to realize that even when I don’t like the way a new drawing starts, most of the time I just need to keep tweaking and adding things to get a final product that I love. I don’t mean to be such a fangirl, but this really is the book that started it all. 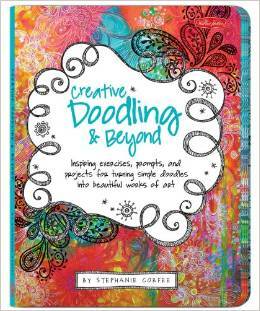 I just happened to stumble across Stephanie Corfee’s blog a few months ago, and the girls and I immediately signed up for the A Year of Doodles course. When I saw her list of books, I knew I wanted to get this one, and I’ve enjoyed the exercises and prompts so much. Stephanie also includes some basic lettering prompts, which made me feel like lettering might actually be something I could do (I’ve dismissed it as far beyond my skill level many times in the past). I had to laugh as I was writing this post because I noticed that this book has quite a few low ratings from people who say it’s too juvenile, but I really like these prompts and exercises as well. 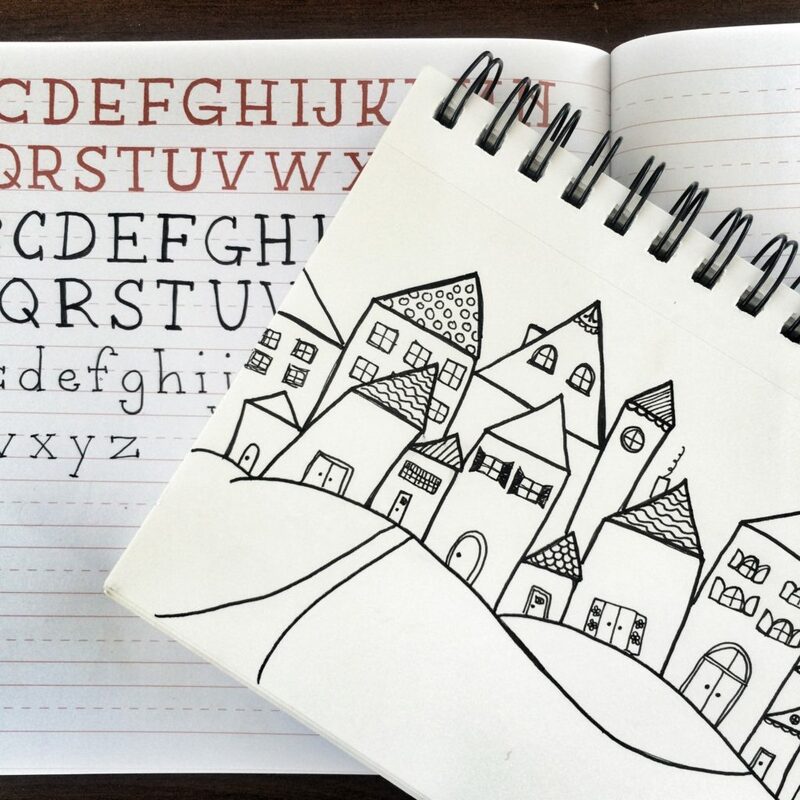 They’re fun and whimsical, which is definitely the style of doodling I’m drawn to, and I love that the book shows the step-by-step process for each exercise. Like the Craft-a-Doodle book above, this book was compiled by Jenny Doh, featuring the work of many different artists. Each artist gives examples of their style as well as several step-by-step projects. The book itself feels somewhat unpolished to me with so many different voices, but there are a lot of really fun lettering ideas and a ton of ideas to use as a jumping off point. It makes lettering feel very accessible. This book claims to be the perfect ledger for beginners and experts alike, but in all honesty, it’s a bit advanced. 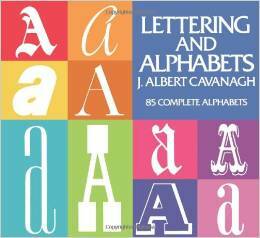 I love the illustrations of various lettering terms, and Mary Kate McDevitt walks you through the different styles of fonts very clearly, but there’s no step-by-step process for drawing the exact letters, and for someone who is intimidated by lettering, it feels a bit overwhelming. That said, the content really only makes up 1/3 of the book, with a ledger filling up the rest. With every type of paper imaginable (lined, grapher, dotted, etc. 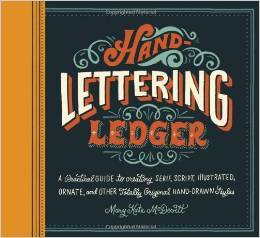 ), I’m looking forward to using this one as my hand lettering ledger to see how I progress. I mentioned a couple of weeks ago that I don’t really love this book, which is more art journaling (with lots of layers and colors) than just lettering. I’m not a huge fan of the art journaling style (black-and-white and straight lines is more my style! ), and I just realized last weekend that this was expensive enough at $19 to justify media mail postage to return it, so I’ll be doing that this week. 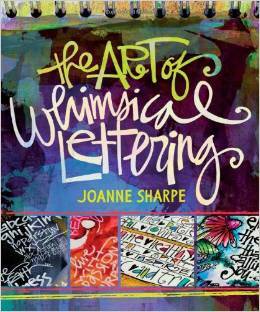 I was hopeful that this book would be a great source of inspiration for hand lettering, but it’s really more about precise styles like already established fonts—for use in advertising and other mock ups—rather than the somewhat imperfect style of hand lettering that I enjoy. 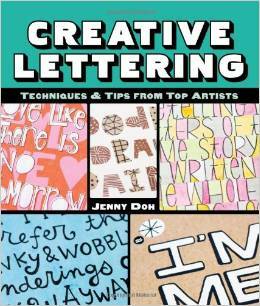 I’m going to send this one back as well and try Zenspirations: Letters & Patterning instead. 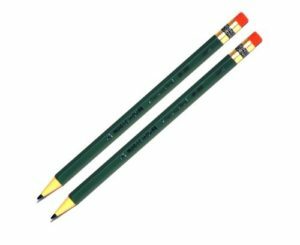 I had originally gotten these pencils for the girls because of the constant pencil sharpening and tip breaking in our house, but it wasn’t long before I packed them away because they were either tapping them incessantly (causing the leads to feed out and break), losing them or even breaking off the ends (seriously?!). 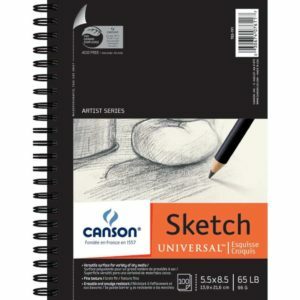 However, I love having a pencil that is always sharp, and I’m enjoying using these for my doodle sketches, especially for lettering where I’m not as confident or skilled. I haven’t tried any other brand of these pens, but I really love these pens so much. They’re high quality, feel good in my hand and on the paper, and I’m learning about the tip sizes that I prefer for different tasks. 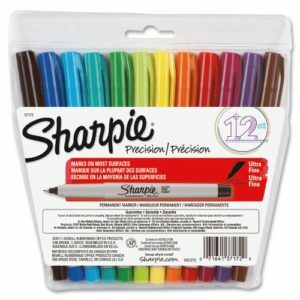 Any good office supplies geek knows that Sharpies are a staple supply, and I love these as part of my art supplies as well. The colors are vibrant, and the precision tip really does offer precision. However, these should only be used on a heavier weight paper because they will bleed through. 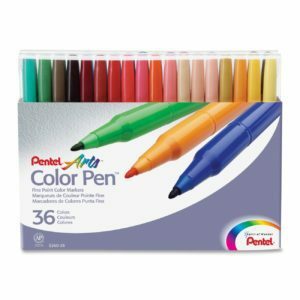 These pens—also known as markers in layman’s terms—offer a variety of great colors, but they’re not my favorite. The tip isn’t as precise as I’d like for smaller doodles, and I’m often disappointed to realize that the color doesn’t match the barrel of the marker. They are, however, the girls’ favorite. 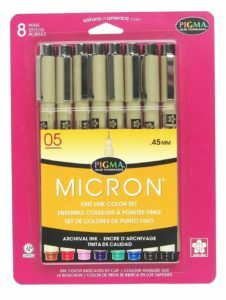 Notably missing from this list are watercolors, paints, nib pens, colored pencils, etc. I might venture into those areas at some point, but for now this is plenty for me to explore and learn. 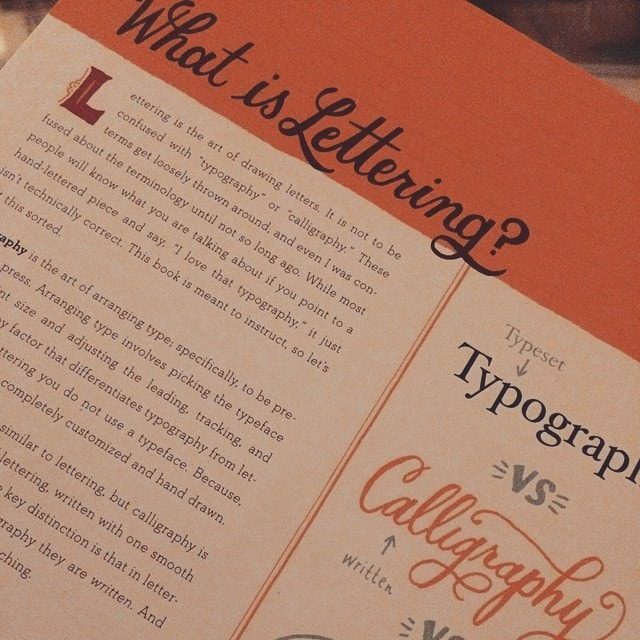 Do you enjoy doodling or hand-lettering? What are your must have tools or inspiration sources? I’m so glad you posted this! I too have been intrigued by your comments on doodling and hand lettering. I have never thought of myself as creative or artistic, but I’m starting to realize that I just haven’t tapped into the right form of expression yet. I love the Craft-a-Doodle book! I agree with you, the exercises look like such fun. I got it a while ago and looked through it but never did anymore with it, so thank you for reminding me it’s time to take it off the shelf! 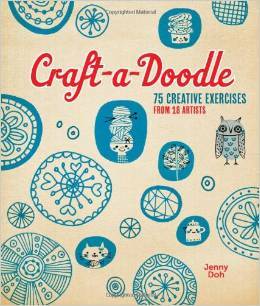 I like the Craft-a-Doodle book, too (and I have lots of art experience – sometimes really simple is nice)! You might check out Pitt Pens at some point. 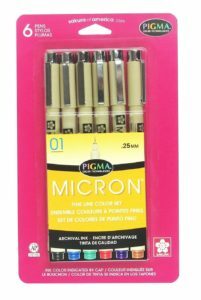 Similar to Micron, but I find them more comfortable to hold. They also have a brush pen line that are really lovely. 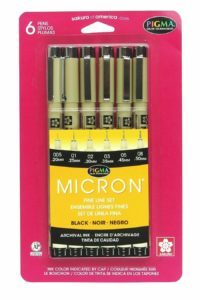 The standard nibs only come in a few colors, unlike the Micron pens. 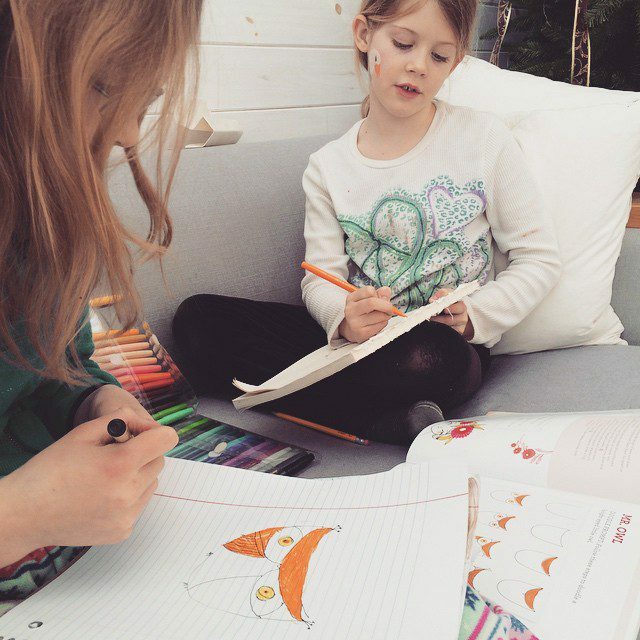 Have you seen the doodling books from Usborne? They are like coloring books, with illustrations and suggestions/invitations to add doodling to the picture. Really fun! When you are ready to venture into watercolor, you might enjoy the ecourse Whimsey and Wonder by Alisa Burke (warning: really easy to get lost in her blog!). I haven’t finished it yet, but I’ve really enjoyed the parts I’ve done so far. Really sweet, playful ideas. Thanks for this post – I love reading these art supply/resource roundups! Thanks for sharing! My brand new 8yo is still set on having her own art studio one day, so we have gotten a ton of art supplies and enrolling her in art classes. These books will be great too!